Cider - n: juice press from fruit and used as a beverage. 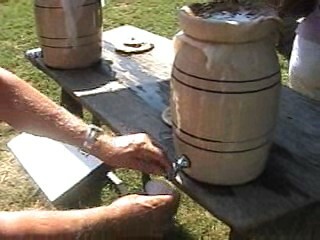 This video was taken at the Mountain Farm Museum and shows how apple cider was made. Performing in Waynesville, NC the Dixie Darlin Cloggers demonstrates authentic free-style mountain clogging. Cooking biscuits and cornbread in an open fireplace with Dutch Ovens. Cherokee native Eddie Swimmer preforms an Indian Hoop Dance. Mountain settlers had to be very self sufficient and make what they needed to live, including making their own soap. 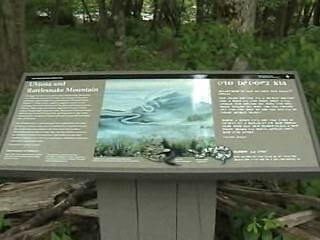 Learn about Cherokee Indian legends as you take an easy walk beside the Oconaluftee River. This Video was taken at the Mountain Farm Museum and shows how to sew with an old fashioned treadle machine. In this video we watch how sweet Sorghum Cane is processed into molasses. This video demonstrates the progression of spinning wheel technology that mountain folk depended to make their own clothing.